Charity Life is Premium and Responsive Fundraising WordPress Theme designed for Foundations, Charity Organizations, Nonprofit Organizations, Churches and Political Organizations. The theme gives you some unique possibilities to Create a website that you can only imagine, to Raise funds for a cause, to Present different kind of content, to Promote your events or to Show your team members. Get Charity Life today and build your dream website! Your Nonprofit website is your ideal platform to inspire and convince your donors to contribute to your causes. Having a modern, functional and elegant nonprofit website is vital if you want your charitable organization to attract the right people. Charity Life theme will enable you to build a complex and adaptable website thanks to its 8 Custom Post types, Professional Design, Unlimited Color Options, Multiple Widget Areas and a Child Theme. Charity Life is Retina-Ready and Fully Responsive meaning that your visitors will have a pleasant browsing experience. Charity Life is integrated with PayPal to make it possible for you to accept donations online and for fundraising. Charity Life was designed to help you raise money for your causes. To help you raise even more money, the theme directly involves your donors and supporters in the fundraising process. The progress bar is your visual dashboard. 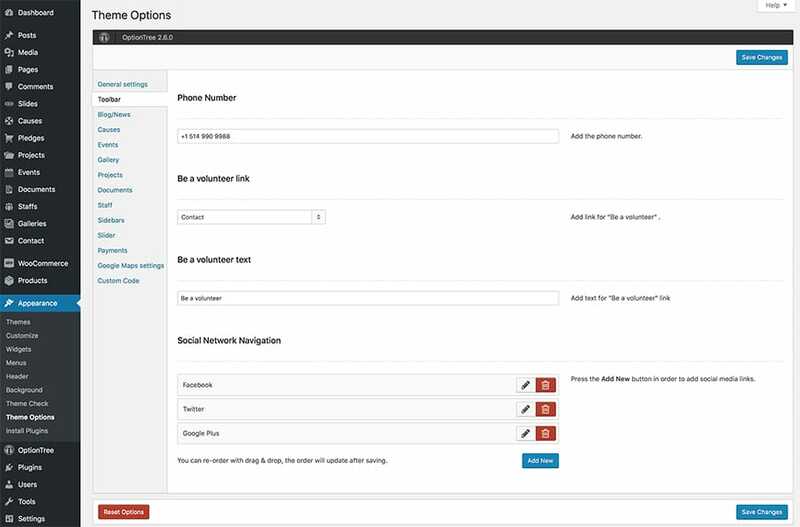 It allows you to track donations and check your performance based on how far or close you are to realizing your fundraising target. Real-time updates after every successful transaction will make your work much easier. Charity Life also gives you the option to enter donations manually. Showcasing your projects in an organized way is vital if you want to impress and convince your visitors. Charity Life has a great and user-friendly way to tell visitors about your active and past projects. A project grid or list provides an overview of all your projects and further details on each project appear on individual project pages. You can see on the same individual page the upcoming events and more events. 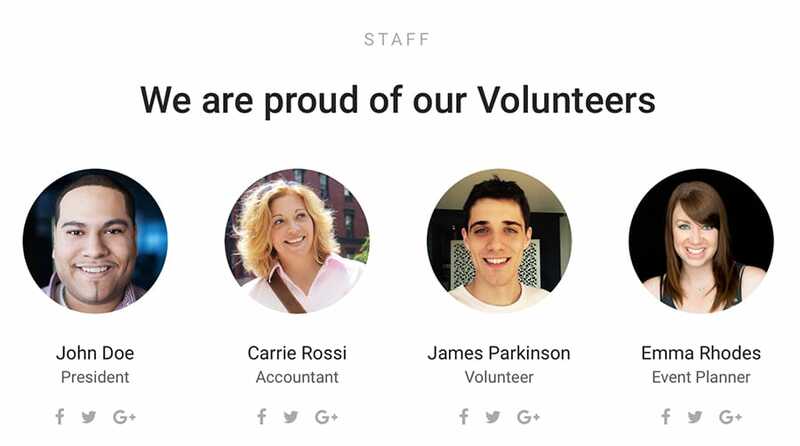 Charity Life gives you a platform to introduce your staff members to your visitors. You can display all your team members or create various categories for the different types of staff. Categories include volunteers, management, and accounting. Feel free to add their ranks or positions and also display their contact info such as social media links, phone numbers , and email addresses. This theme allows you to publish books, newsletters, flyers and annual reports in different formats well-suited to eBooks, .zip files , and PDFs. By uploading documents relevant to your organization, you can make your site pop and stand out and reach a wider audience as your visitors can conveniently share the documents. 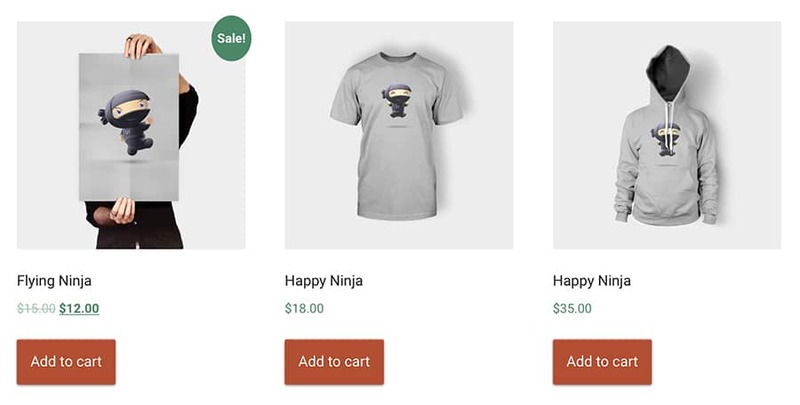 Charity Life is WooCommerce ready to allow you to monetize your site by creating an online store. You will be able to customize your store as you want and sell any kind of product as a fundraising activity. Used by millions of online stores worldwide, WooCommerce will make it easier for you to handle payments, shipping , and inventory. It will also give you real-time reports on customers and products. Charity Life’s Dashboard Widget enables you to get an overview of received contributions or donations for your cause at a glance. The Charts and Graphics show you all the information you want. 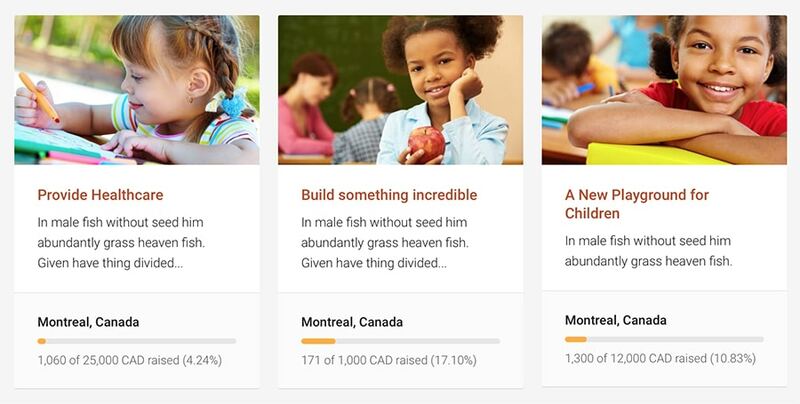 Choose from viewing Donation Performance Cause, All Causes , and Top Causes. This awesome nonprofit theme is highly-customizable with powerful and advanced theme options to give you limitless possibilities when it comes to setting up your website. You have the freedom to pick from Diverse Page Layouts that are packed with Church and Nonprofit-Specific Features (Staff, Projects, Galleries, Events , and Causes). WPlook tech support team is always quick to respond if any issues come up while you are customizing the Charity Life theme. All around clean design and relatively easy to customize. I highly recommend using it! Extremely flexible theme for Charity Organizations. Support is helpful for people who are new to WordPress such as myself and who have no coding experience/knowledge.